C or Z shape purlins are made from hot/ cold rolled steel strips, and straightened, hole punched, cut to length, and roll formed by WLPM series C/Z changeable shape purlin roll forming machine. Through changing, this product line can make the change of the shape C or Z purlin, besides change different sizes of C or Z shape purlin. This change for shape and sizes of C/Z purlin can be realized by automatic mode, or manual adjusting mode. 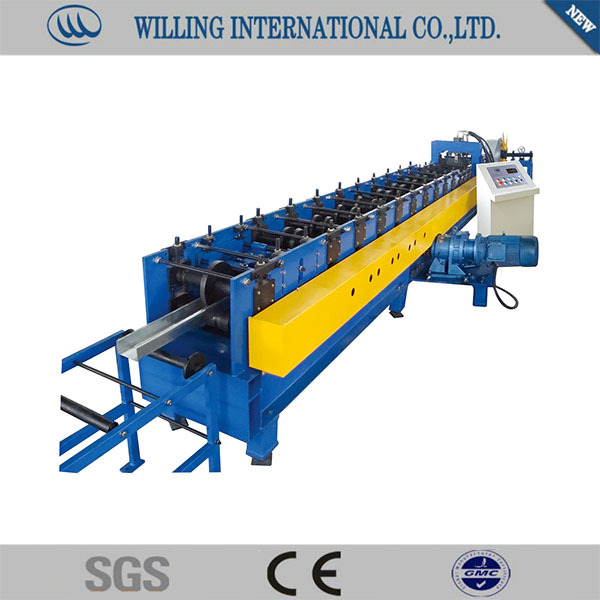 WLPM series C/Z shape purlin product line consists of uncoiling system, straightening system, hole punching system, shearing system, roll forming system, products support table, hydraulic system, automatic controlling system, and so on. It’s a high efficiency equipment of making purlin, which is suitable for current enterprises. Uncoiling→Sheet Guiding→Straightening &Levelling→Hole Punching→Measuring Length &Shearing→Roll Forming→Sheet to support table.